Phencyclidine (PCP) is a dissociative drug that was originally developed in the 1950s as a surgical anesthetic. PCP was soon removed from the market due to its dangerous side effects, and it is now a controlled substance that has no legally recognized use in humans. Today, PCP is abused as a recreational drug for its hallucinogenic and perception-altering effects. Prolonged use can result in dependence, impaired thinking, and mental health problems, such as depression and psychosis. Other recreational drugs with similarities to PCP include ketamine (special K) and dextromethorphan (DXM). PCP is sold in various forms including powder, crystal, and liquid, and is also available as pills, tablets, or capsules. PCP liquid is sometimes added to marijuana and smoked, a combination referred to as supergrass and wet, among other terms. PCP is also often passed off as MDMA (ecstasy) or other drugs to unsuspecting users. PCP is an extremely potent drug that can cause a myriad of dangers for someone intoxicated by the substance. Fortunately, detox and addiction treatment programs are available for those who need help stopping use. To understand PCP withdrawal and the need for detox and rehab, it’s important to first understand the effects of PCP intoxication. PCP and other dissociative drugs produce hallucinations that affect users’ perception of sights, sounds, and sense of time. The most distinctive effect of these drugs, however, is a feeling of detachment, or dissociation, from one’s physical body, which has been described as a floating sensation, an out-of-body experience, or even a near-death experience. Some media reports have linked PCP use with violent and bizarre behavior in users, but the available research does not actually support PCP’s reputation for making users violent. However, its dissociative effects can make individuals unaware or unconcerned about dangerous situations and personal limitations and they may respond to confrontations in irrational and unpredictable ways 1. At high doses, PCP users may suffer dangerous negative effects, including schizophrenia-like psychosis. In fact, PCP is used in research to produce schizophrenic symptoms in animals to test possible treatments for this mental disease in humans. High doses of PCP can also cause seizures and severe muscle contractions. Overdoses of this drug can be fatal, and many individuals have also been killed by accidental drowning, leaping from high places, and motor vehicle accidents while using the drug. Difficulties with speech such as stuttering. Even after a person stops using PCP, these effects may continue for a year or more 3. Craving describes an intense, or even compulsive, desire to use a drug again once the effects have worn off. Tolerance develops when a user has to take progressively larger doses of a drug in order to achieve the desired result. Withdrawal refers to the negative physical and mental symptoms that occur when a habitual user suddenly stops taking a drug. All 3 of these characteristics, craving, tolerance, and withdrawal, are signs of drug dependence or addiction (or “phencyclidine use disorder”). Once these develop, it often takes formal detox and treatment programs, such as rehab, to stop using PCP. Formal treatment is often recommended because of the dangers associated with PCP use and the mental health conditions that may arise from long-term use of the drug. Supervised detox manages symptoms (both physical and psychological) that may arise during the process of withdrawal. The number of PCP abusers in the US is low compared to other illicit drugs. The National Survey on Drug Use and Health (NSDUH) conducted by the Substance Abuse and Mental Health Services Administration (SAMHSA) estimated that in 2013, 2.5% of Americans over the age of 12 had ever used PCP in their lifetime 4. As a comparison, the same survey found that 9.4% of Americans had ever tried LSD (acid)—another illicit hallucinogenic drug. The withdrawal syndrome for PCP has not been well-established; however, like dependence on other recreational drugs, withdrawal from PCP is likely to be more difficult the longer the individual has abused it. Anxiety and cravings for PCP in the recovering user may precipitate relapse. There is currently no medication approved for PCP detoxification (detox), and the time required for symptoms of intoxication and withdrawal to subside varies from case to case. Most individuals will recover from PCP intoxication without lasting negative effects. In chronic users, most physical symptoms of PCP intoxication and subsequent withdrawal will subside within days to weeks. Because of the risk of aggression and psychosis in individuals under the influence of PCP, detox may need to be conducted in a psychiatric inpatient facility equipped to prevent patients from harming themselves or others. Detox staff may administer sedating medications to patients who are agitated to keep them calm and reduce anxiety. In cases of patients who are experiencing PCP-induced psychosis, antipsychotic medications may be used. In extreme cases patients may be restrained until the effects have passed. Other symptoms of chronic PCP use may last much longer. Speech difficulties, memory loss, anxiety, and suicidal thoughts have been reported to last more than a year after the last PCP use in some individuals 3. Finally, withdrawal from many addictive drugs – including PCP – can result in a phenomenon known as anhedonia. Individuals experiencing anhedonia feel “flat” or unable to take pleasure from anything, including favorite foods, former hobbies, or time with friends. The feeling that living is no longer worthwhile can lead former PCP users to stop interacting with others socially and possibly become depressed. Many addictive drugs are thought to manipulate the reward circuitry of the brain, which could potentially explain why so many people in recovery experience anhedonia at the outset of recovery. This feeling lasts until the brain is able to re-adapt to functioning normally without the drug. Experiments in rats have indicated that PCP withdrawal has large and long-lasting effects on the brain’s reward circuits 6, suggesting that anhedonia and depression in humans withdrawing from PCP may be especially persistent. PCP-induced delirium and psychosis can last a remarkably long time, up to 6 weeks or even longer. During this time the user can present a real danger to themselves or others. Medically supervised drug detox centers have staff who are aware of the dangers and difficulties faced by those withdrawing from drugs. Even symptoms that are not life threatening, such as cravings and headaches, can cause the person in withdrawal to relapse on the drug to alleviate the discomfort. Emotional disturbances like anxiety, depression, and hopelessness can likewise overcome an individual’s best intentions to complete the withdrawal process unless they have professional support. Medically supervised drug detox centers have staff who are aware of the dangers and difficulties faced by those withdrawing from drugs. They can provide critical medical support to keep clients safe and comfortable so that they can complete the challenging process of PCP detoxification. Detox professionals are also an excellent source of support and information for mental health issues that may arise during withdrawal from drugs. Depression is common in former PCP users, requiring counseling and sometimes anti-depressant medications, if the mood disorder persists and/or is severe. Detox centers can help people in recovery find resources available to address such challenges. Finally, there is a risk of experiencing the symptoms of psychosis, or exhibiting features of a psychotic illness such as schizophrenia due to chronic PCP use. These signs and symptoms may persist for months or years after they stop using the drug. Ongoing support is necessary to manage these issues and to aid with the readjustment to a life without PCP. Those who take advantage of professional detox programs provided a great po getting such needed support. After completing medically supervised detox, there are several treatment options available for people struggling with PCP dependence. It is common for chronic abusers of PCP to resume using soon after detox if they do not enter a follow-up treatment program, so it is important for those in recovery to have a plan ready when they exit detox. Common challenges for people recovering from PCP addiction include poly-drug abuse (abusing more than 1 drug) and dual diagnosis (a combination of mental health issues and substance abuse). These challenges may affect your choice of treatment program since not all programs are designed to treat patients with poly-drug dependence or dual diagnosis. Inpatient recovery programs provide intensive care for people recovering from addiction and usually last between 4 and 8 weeks (i.e., 30- through 60-day programs). They offer round-the-clock supervision and often combine several approaches to recovery including education, counseling, behavioral therapy, and medication. It may also be a good choice for people who would benefit from being separated from the people and environment associated with their former drug use. Many inpatient rehab programs will include supervised detox as a part of their program. Outpatient recovery is available for individuals who need to remain at home due to family or other obligations, although such programs are less intensive than inpatient or residential facilities. 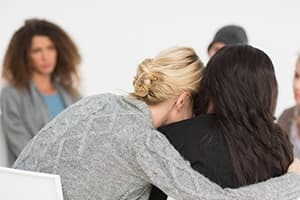 Finally, peer-support programs such as SMART recovery and 12-step groups are good sources of continuing support after the completion of a recovery program.